This important new series rediscovers the original heroes of cookery. Reissuing texts that for decades have been available only to collectors of old books, each title has been redesigned giving the original text an updated yet timeless look for today’s reader. These classic voices convey the flavour of their times and yet are astonishingly relevant to the modern reader. With two more titles to follow in September, this series will establish itself as an exciting new source of reference and inspiration for all food lovers. 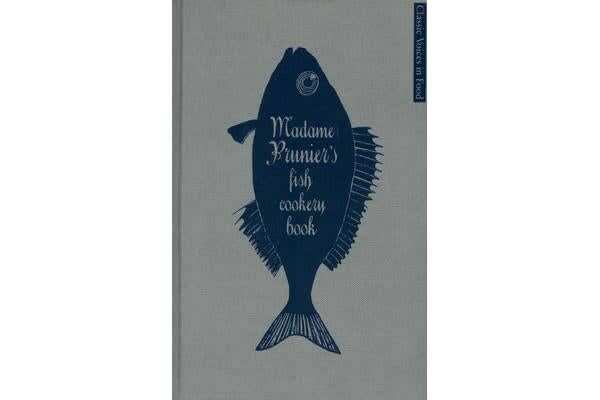 First published in 1938, the original editor of Madame Prunier’s Fish Cookery Book, Ambrose Heath, described it as ‘a really thrilling book…that should take its place among the classics of the kitchen’. This is certainly as true today as when Madame Prunier first wrote her Advice on Buying fish and Elementary Rules for Cooking Fish. Simple but wonderful recipes for Savoury Butters and Sauces, Soups, Fresh-Water fish, Salt-Water Fish and Shellfish include such delights as Crayfish Barquettes, Clam Risotto, Devilled Herrings and Sole Souffle, fulfilling the original ambition of the book to ‘keep all the cooks in Britain busy for some time’.